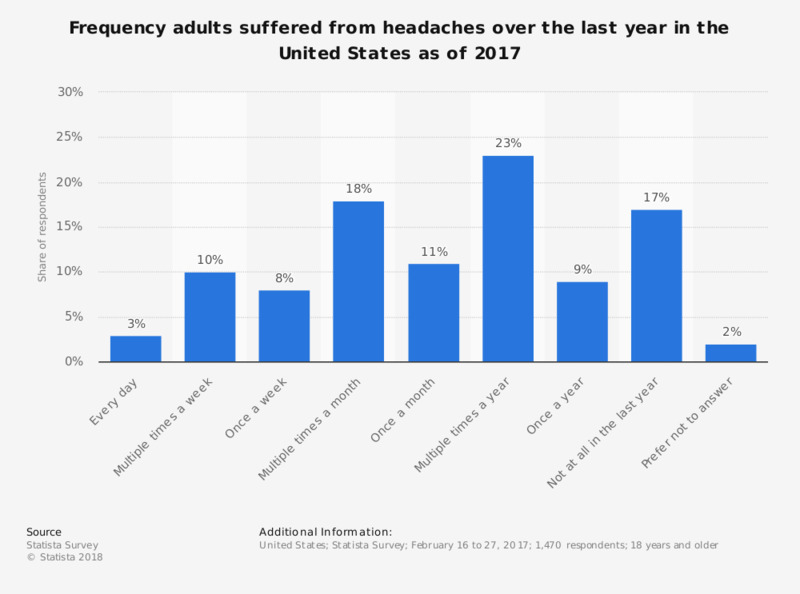 This statistic shows how often adults in the United States suffered from headaches over the last year as of February 2017. It was found that 10 percent of respondents had headaches multiple times a week. Original question: [headache] How often did you suffer from the following symptoms over the last year? Everything On "Common illnesses and symptoms in the U.S. (Statista Survey)" in One Document: Edited and Divided into Handy Chapters. Including Detailed References.